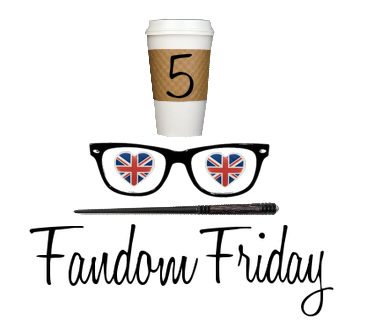 This week’s 5 Fandom Friday topic is character’s I would name my kids after, but I’ve decided to modify it to Harry Potter characters I would name my kids after. I’ve also taken a liberty with the number 5 and raised it to 7 because as any Potterhead would know, 7 is the magic number. I’ve chosen each of the characters listed below for a combination of loving the name and a specific reason relating to the character. For instance, while I enjoy the name Bellatrix, I could never in good conscience assign that name to an innocent child. 1) Luna Lovegood – My all-time favorite character in just about anything ever. No explanation is really needed here! 2) Lily Potter – Lily is the kind-hearted and brave mother of Harry. She’s independent in her decision making and chooses her friends (ie Snape) based on her own feelings without caring about what others will think. 3) Molly Weasley – Molly is a very organized woman who takes the best possible care of her family but isn’t afraid to keep everyone in line. I’ve always admired her greatly. 4) Percy Weasley – Obviously Percy is not one of my favorite characters and I admit this is more because I like the name Percy than anything else, but hear me out. He’s always concerned with doing well in school, he’s a prefect and he follows in his father’s footsteps and works at the Ministry of Magic. Then his character turns horrible for a few books, but he does make amends with the rest of the Weasley’s at the end of the series. 5) Andromeda Tonks – Originally Andromeda Tonks, she followed her heart and married a muggle born wizard named Ted Tonks. Andromeda is disowned by her family for marrying someone who isn’t a pureblood and shortly after tying the knot, she gives birth to Nymphodora Tonks. 6) Cedric Diggory – Cedric Diggory was the first huge character death in any book that really affected me. I remember crying my eyes out and re-reading The Goblet of Fire over and over again so I could relive all of the moments where Cedric was alive. 7) Alice Longbottom – Alice Longbottom is Neville’s mother who was an Auror working for the Ministry of Magic until she and her husband were tortured to insanity by Lord Voldemort. She was a well respected wizard and she openly defied Voldemort several times which cost her the memory of her son. I love that you did a Harry Potter spin on it. So many good ones to choose from. I think Luna is my favorite thought and also Nymphadora. I love that you went with one Fandom for your list! Yay! So much HP goodness in this list. I feel like they all deserve to have people named after them. Loving the HP names that you chose :) You could even combine some of these names together like Molly Andromeda or Lily Luna, etc so your baby’s name would be extra magical! Nina, you are a genius!!! Whenever or if ever I may have a child I’m totally going to push for Luna Lily! Luna is a great name, and she’s my fave HP character, too! I love how you did this. I like how fun the names can be in the Harry Potter universe.